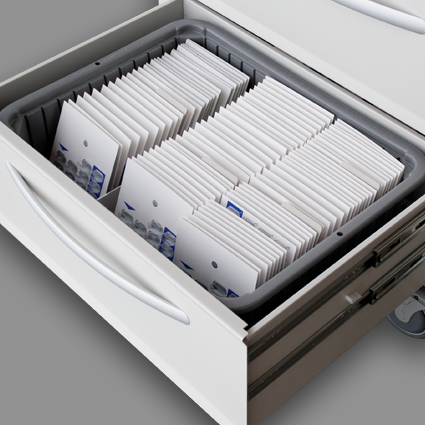 Creme Texture Front-to-Back Divider for 6” 9” 11” & 12” drawers. Creme Texture Front-to-Back Divider for 3” and 4” drawers. 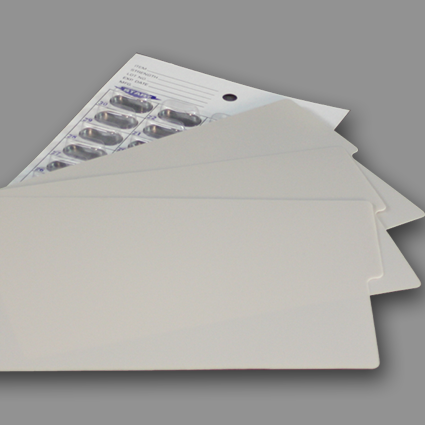 Neatly divide resident’s punch cards with durable plastic dividers. 50/package. 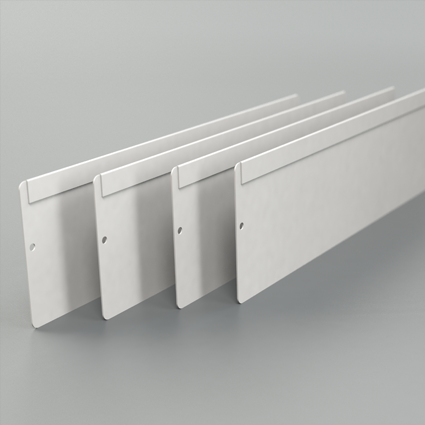 Notched to hold partial DisPill® packages perfectly in place. 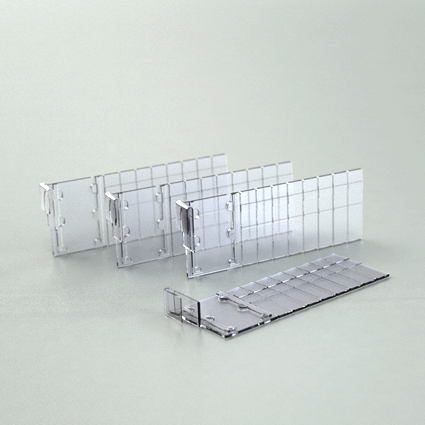 Clear Sub Divider with Label Holder for 6” 9” 11” & 12” drawers. A label template in Microsoft Word® is available and can be downloaded here. 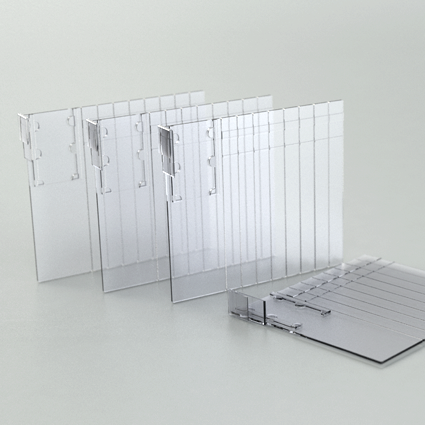 Clear Sub Divider with Label Holder for 3” & 4” drawers. 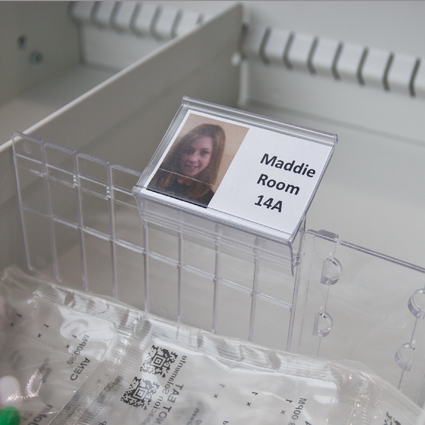 This label holder provides quick and easy identification from the top view of the drawer. 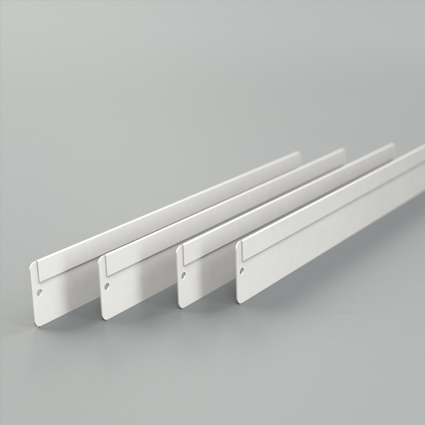 It attaches to dividers or sub dividers. It has a plastic cover to protect the label. Lastly, a label template in Microsoft Word® is available here. 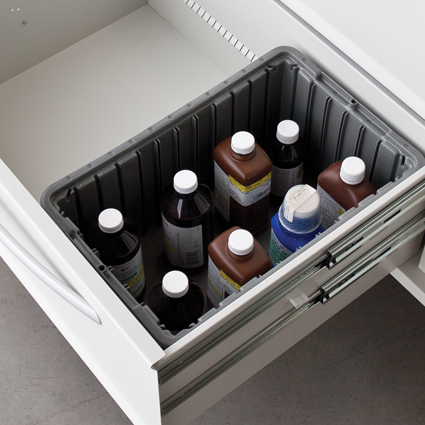 Keep your cart free of drips and spills with the liquid tub that is easy to remove and clean. Bin and Lid are drilled to accept security seals. 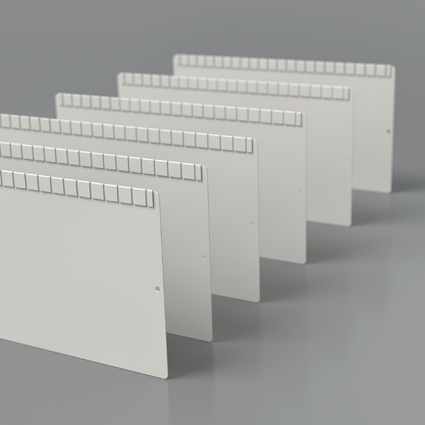 Two special cut dividers included for three rows of punch cards.